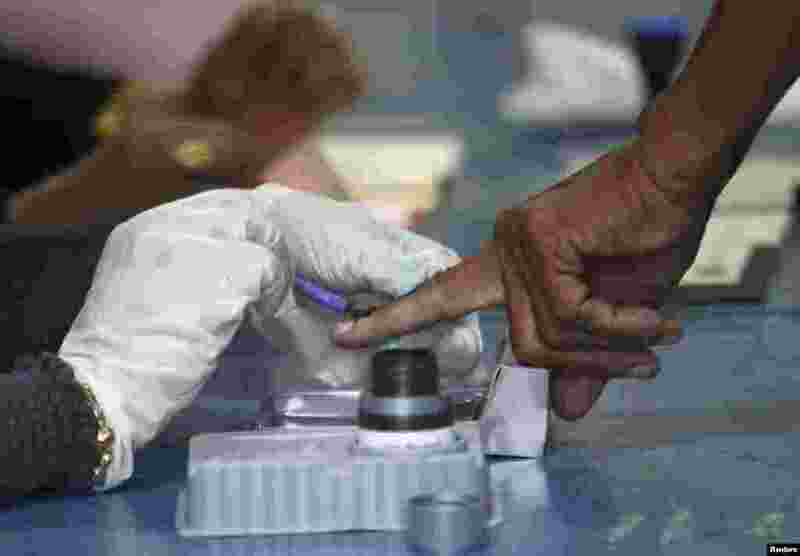 Malaysia's ruling coalition has won a simple majority in parliamentary polls, extending its 56-year rule after a tough fight with a strengthened opposition alliance. 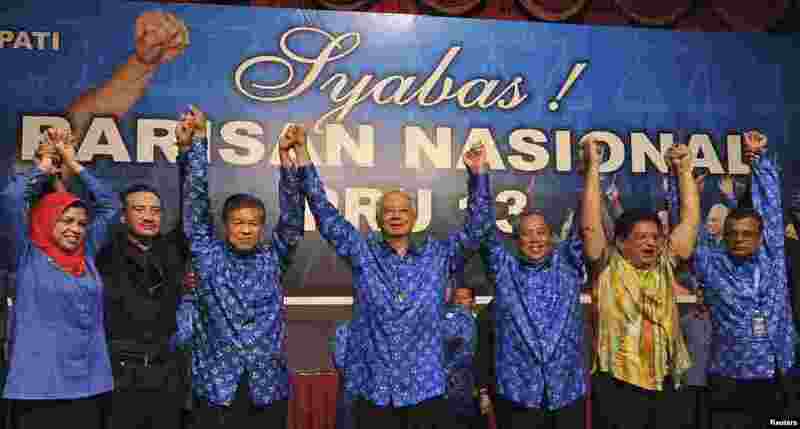 1 Malaysia's Prime Minister Najib Razak celebrates after winning elections at his party headquarters in Kuala Lumpur, Malaysia, early May 6, 2013. 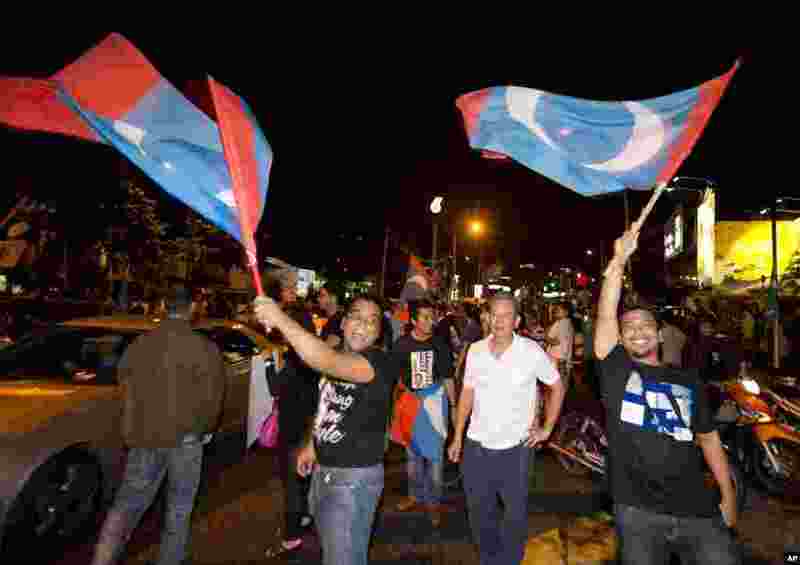 2 Supporters of opposition leader Anwar Ibrahim wave flags after polls closed in Kuala Lumpur, Malaysia, May 5, 2013. 3 Opposition leader Anwar Ibrahim leaves a polling station with his wife Wan Azizah Wan Ismail after casting their votes during the general elections in Permatang Pauh, Malaysia, May 5, 2013. 4 A voter has his finger painted with indelible ink before casting his votes during the general elections in Permatang Pauh, Malaysia, May 5, 2013. 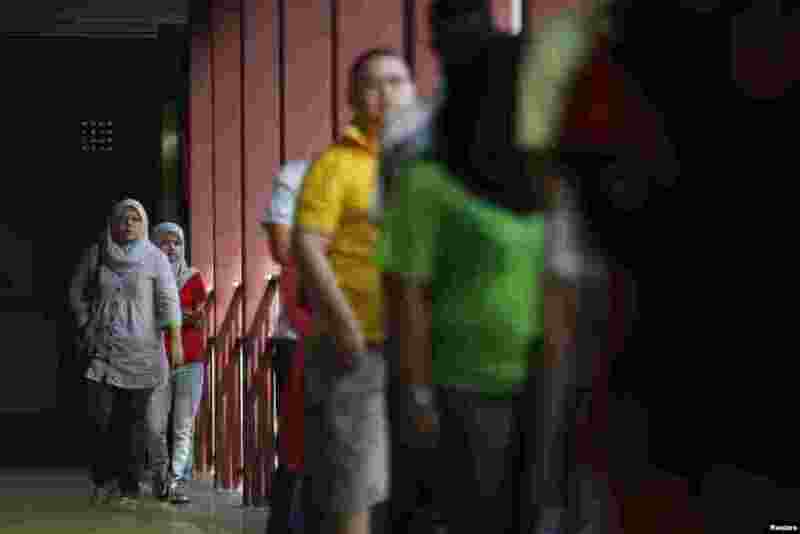 5 Voters arrive outside a polling station during the general elections in Permatang Pauh, Malaysia, May 5, 2013.